Since 1979 JPM has been creating original designs of remarkable beauty. We pride ourselves in top quality craftsmanship and stand behind our products. We warrant our custom made jewellery against defects in materials or workmanship and offer a lifetime of free checking and cleaning on our pieces. 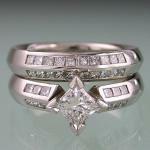 We strongly recommend to have your jewellery checked at least twice a year. In accordance with NZ law and the NZ Consumer Guarantees Act we cannot warrant jewellery against normal wear & tear or outright abuse. 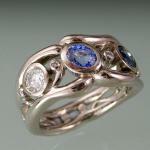 Each custom made piece is accompanied by an independent Insurance Valuation and a Cert. of Authenticity. We pride ourselves in top quality craftsmanship and stand behind our products. We offer a very comprehensive customer service at any stage of your project. And we promise to adhere to our high standards of quality control delivering an outstanding piece of jewellery within budget and timeframe. 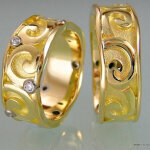 Orbit Jewellery is proudly New Zealand owned and as such consumers are covered under New Zealand law.